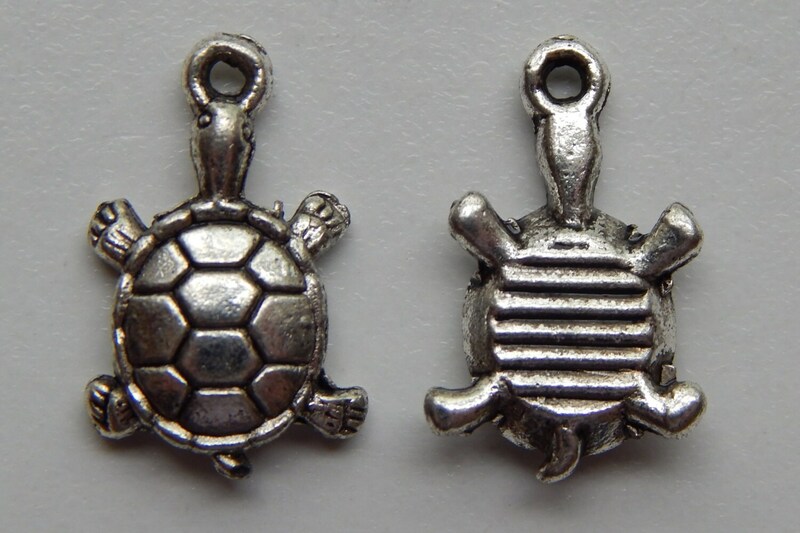 Cute, double-sided turtle animal metal charm dangles in a detailed antiqued silver color. 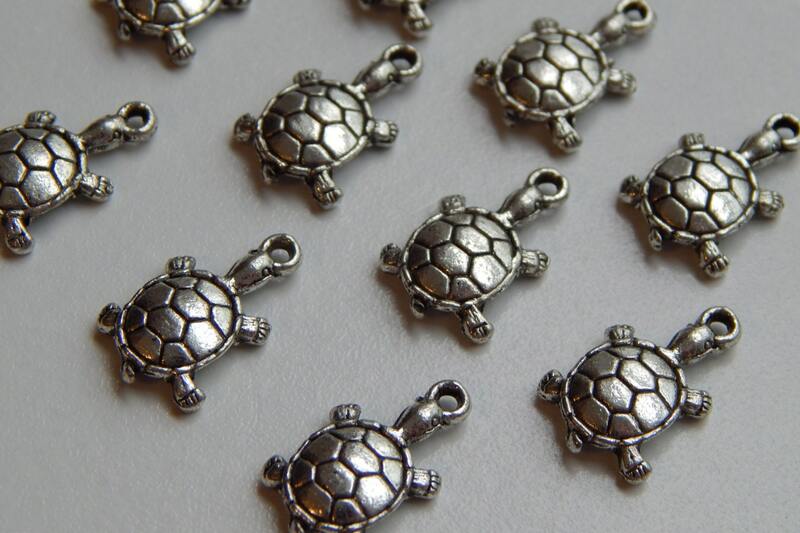 Different patterns on each side, turtle shell is nicely done. 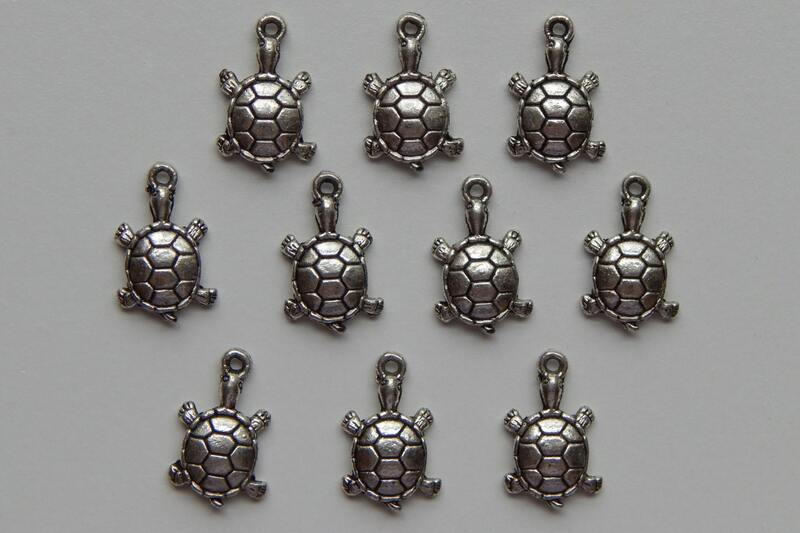 Charms measure 18.5mm high x 11.7mm wide x 3.3mm thick, with a 2mm hole size for attaching (top loop). 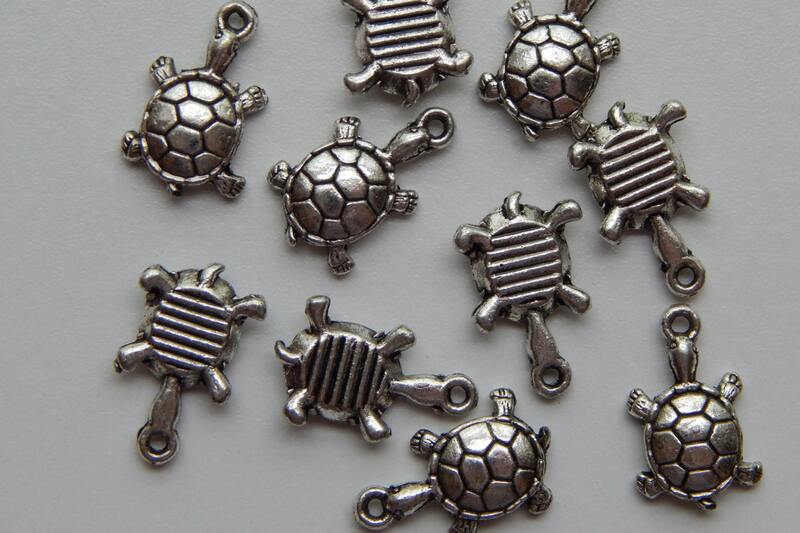 Zinc alloy base metal is lead free, nickel free, and cadmium free. 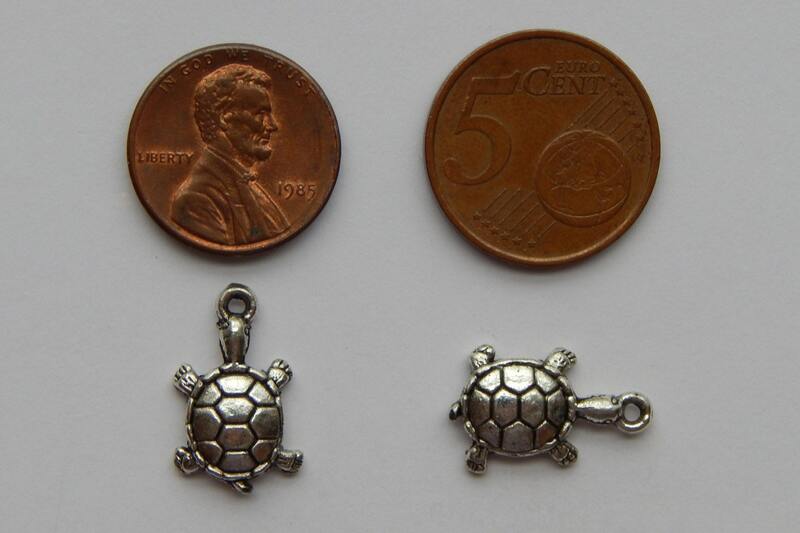 1 piece, includes steel jump ring.